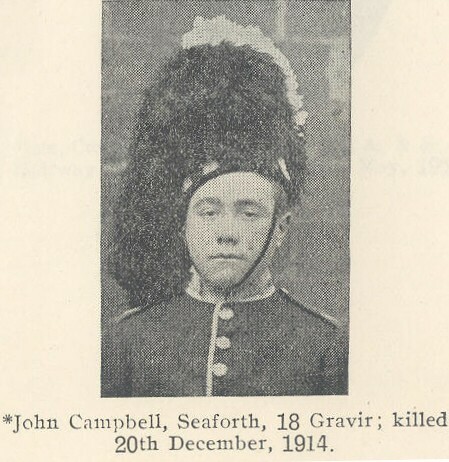 Son of John and Mary Campbell, of 18, Gravir, Stornoway. John was one of the children of John (1859) and Mary (1860), the others being Alexander (1892), Angus (1900), Christina Ann (1896), Donald (1900) and Roderick (1902). His brothers Alexander (RNR), Donald (Royal Garrison Artillery) and Angus (Royal Fleet Auxiliary) also served during the war but survived.